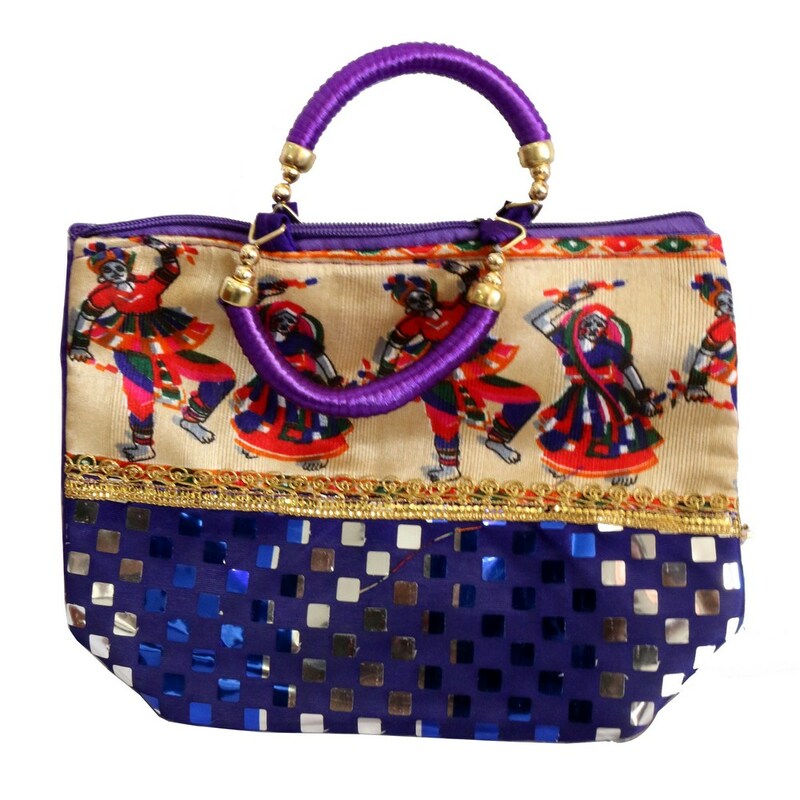 Traditional bags can never go out of taste and this purple one is definitely not going out of fashion anytime soon. The perfect pinch of Read More..bright purple goes pretty well with silver blocks making it look trendy. The trendiness has been balanced well with the Rajasthani dancing men to add the traditional effects. Show Less..